The Best Autism blogs from thousands of top Autism blogs in our index using search and social metrics. Data will be refreshed once a week. Also check out Autism Podcasts and Autism Youtube Channels list for Top videos on Autism. 2.26 Cultivate Blog | Learn & Grow With Us! 2.28 Stimeyland — Get your quirk on. Autism newsletter is a comprehensive summary of the day's most important blog posts and news articles from the best Autism websites on the web, and delivered to your email inbox each morning. To subscribe, simply provide us with your email address. About Blog The Autism Site was born out of the desire to spread the word about the growing number of children and families who are coping with the challenge of autism, and to provide a way for everyone to help. Facebook fans 226,807. Twitter followers n/a. About Blog Original content and news about the autism epidemic from the perspective that autism is treatable. Anaylsis of current media treatment of autism and the environmental causes of autism. Facebook fans 20,642. Twitter followers 39,015. About Blog Thinking Person's Guide to Autism (TPGA) is the resource we wish we'd had when autism first became part of our lives: a one-stop source for carefully curated, evidence-based information from autism parents, autistics, and autism professionals. Facebook fans 204,721. Twitter followers 29,370. About Blog The Art of Autism is a blog which features first-person perspectives, as well as parenting, therapist, physician, and other perspectives. The Art of Autism believes in empowering autistic people through the arts. Besides topical and informative blogs we offer a gallery of art and poetry and real-life exhibits, neurodiversity panels, and entertainment events. Facebook fans 14,602. Twitter followers 4,874. About Blog Autism resources, lesson plans, treatment options, support, research updates, family support from experts, educators, parents, and therapists. Facebook fans 14,130. Twitter followers 2,140. About Blog Autism Eye is a high quality quarterly magazine written and published by national award-winning journalists who are also parents of a child with autism. Get in-depth, useful information for parents and professionals focusing on autism spectrum disorder (ASD), including Asperger syndrome. Facebook fans 2,595. Twitter followers 19,160. About Blog Autism news, information and support. Please feel free to submit articles to enhance the knowledge, acceptance, understanding and research of Autism and ASD. Facebook fans 1,212,249. Twitter followers 579,631. About Blog Proud to be one of the top children's hospitals & pediatric research institutes in the US. Supported by a generous community, like you. Hope. Care. Cure. Facebook fans 221,872. Twitter followers 66,283. About Blog Human, husband and father raising 3 kids with Autism and fragile health. My mission is educate and help families like mine realize they aren't alone. Facebook fans 10,798. Twitter followers 27,373. About Blog A free autism newsletter with printable resources for parents and teachers. We also offer online autism training. Facebook fans 4,174. Twitter followers 982. About Blog A blog by Jess, a mother, intersectional advocate, believer in the power of community. Facebook fans 331,521. Twitter followers 4,782. About Blog Autism Daddy is a blog by Frank Campagna who has a 14 yr old son with severe, non-verbal autism. The mission of this page is to talk about autism in a satirical way about all the unpleasantries of this crazy world of autism. Facebook fans 153,097. Twitter followers 2,917. About Blog The Autism Society, the nation’s leading grassroots autism organization, exists to improve the lives of all affected by autism. We do this by increasing public awareness about the day-to-day issues faced by people on the spectrum, advocating for appropriate services for individuals across the lifespan, and providing the latest information regarding treatment, education, research and advocacy. Facebook fans 650,960. Twitter followers 97,732. About Blog A blog by Lydia X. Z. Brown. Lydia X. Z. Brown (Autistic Hoya) is a gender/queer and transracially/transnationally adopted east asian autistic activist, writer, and speaker whose work has largely focused on violence against multiply-marginalized disabled people, especially institutionalization, incarceration, and policing. Facebook fans 7,071. Twitter followers 7,711. About Blog I am a 24-year-old man with Autism and other neurological disorders. I have created this blog to share personal stories and to teach others about people like me. About Blog MHAF provides hope, guidance and effective solutions to autistic adults and their families. Facebook fans 8,720. Twitter followers 991. About Blog Dr. Lee A. Wilkinson is author of the award-winning book, A Best Practice Guide to Assessment and Intervention for Autism and Asperger Syndrome in Schools. About Blog My name is Amy and I'm an autistic adult. I blog about being autistic, things that make my life easier, and whatever I feel like. Facebook fans 2,044. Twitter followers 104. About Blog Bringing together the Autism Community to connect, share and discuss all things Autism. Facebook fans 6,766. Twitter followers 12,406. About Blog A blog for autistic people run by autistic people about autistic feelings. About Blog Formerly known as The Adventures of Leelo and His Potty-Mouthed Mom. Geekery, parenting, autism, all that. Facebook fans n/a. Twitter followers 9,652. NC About Blog Teresa shares her experiences of parenting an autistic child, describing with passion the ways in which she has come to embrace autism and not just live with it. Facebook fans 4,613. Twitter followers 3,093. 26. Cultivate Blog | Learn & Grow With Us! Facebook fans 420. Twitter followers 502. About Blog Robyn Coupe has two children on the autism spectrum and writes about her experiences on the blog, Autism in Our Nest. From exploring therapy for her children to experiencing isolation as a parent, Robyn shares a personal glimpse of her family's journey with autism. 28. Stimeyland — Get your quirk on. About Blog Stimey believes rodents are funny, autism may be different than you think, and that if you have a choice between laughing and crying, you should always try to laugh—although sometimes you may have to do both. Facebook fans 1,733. Twitter followers 3,933. About Blog Autism Speaks is dedicated to promoting solutions, across the spectrum and throughout the lifespan, for the needs of individuals with autism and their families through advocacy and support; increasing understanding and acceptance of autism spectrum disorder; and advancing research into causes and better interventions for autism spectrum disorder and related conditions. Facebook fans 1,869,923. Twitter followers 244,518. Springfield, MO area About Blog Not Weird Just Autistic was created by author and Asperger's Advocate J.R. Reed. who grew up in a time before there was such a thing as autism or Asperger's. Diagnosed at age 46, he now knows that growing up he wasn't weird, just autistic. Facebook fans 120. Twitter followers 91. About Blog A blog about a family's autism triumphs and struggles. Following a little girl's autism diagnosis and beyond. Facebook fans 10,852. Twitter followers 1,487. About Blog Different Ways to Amazing Days. What Her Autism is All About To be a premier provider of everyday solutions for autists living in a neurotypical world. To provide a platform and to deliver information and services girls and women living with autism in a neurotypical world. About Blog Welcome to Autism Journey Autism Journey is home for parents of children with an autism spectrum disorder. We provide personal stories and experiences about raising a child with an ASD, as well as quality information, resources and more. About Blog The Autistic Me features reflections on daily life with autism from the perspective of a university professor diagnosed with high-functioning autism. Frank and unvarnished, these are one autistic's experiences. Facebook fans 962. Twitter followers 884. Buffalo, NY About Blog Faith, Hope, and Love...With Autism is a blog by Lisa Reyes who shares her experience of raising a kid with autism and his journey towards autism recovery. Facebook fans 4,863. Twitter followers 21. About Blog Helpful and Interesting Autism Information. My own articles, essays, opeds, blog posts, as well as others' advocacy news and updates. Facebook fans 1,650. Twitter followers 2,135. Western U.S. About Blog An autism blog sharing ideas, news, strategies and tools, and lessons-learned from one mom with one child and one experience on the autism spectrum. Facebook fans 43,501. Twitter followers 8,261. About Blog Autism blog raising a child with autism family support website. Cape Town, South Africa About Blog Living & Parenting with Intent - Unmasking the Journey to Optimism and autism. Facebook fans 520. Twitter followers 273. NJ, USA About Blog Living the life with a son on the spectrum who proves that a side of fries makes anything better. Facebook fans 81,937. Twitter followers 2,848. Facebook fans 26. Twitter followers 36. South East, England About Blog I'm Helen: Autism advocate, psychotherapist, charity founder, author, public speaker and mum to four amazing children on the autism spectrum. The purpose of my writing is to offer help and advice to anyone who needs it, and to be that reassuring voice I so needed to hear all those years ago when my children were small and my world was filled with endless chaos and universal disapproval. Facebook fans 652. Twitter followers 128. About Blog A research-based blog by and for people with high-functioning autism. Embrace your ASD, as it’s not just Kryptonite; we have our Super Powers, too! Facebook fans 12. Twitter followers 43. New York City About Blog Finding My Kid is a blog by a parent of a kid with autism. In this blog, you will see how Martin is overcoming autism with his determination and will and with the support of his parents. About Blog This is the journey of Joseph from his autism diagnosis to present. This blog highlights the highs and lows with a touch of humour and reality together with those times that were downright hard. Facebook fans 3,142. Twitter followers 506. About Blog Dedicated to empowering parents of children with autism by providing knowledge, actionable strategies, and a community of support. About Blog A blog about being a parent of a child with Autism and sensory issues. We are currently focusing on gluten free and early intervention. Facebook fans 631. Twitter followers 620. About Blog One Autism Mom's Notes is a weekly blog that provides a mother's reflections on raising a child with autism. Facebook fans 862. Twitter followers 45. About Blog Join us on our journey through life with Autism. Facebook fans 1,752. Twitter followers n/a. Wisconsin, USA About Blog Mike and I are the parents of two boys. Andy is 31 and Ryan is 29. Andy was diagnosed with autism when he was 3 1/2. This is our journey through autism: how we coped with finding out his diagnosis and what we have tried that worked and didn’t work. Facebook fans 88. Twitter followers 181. North Carolina About Blog I’m Meg Proctor, an occupational therapist, autism specialist, and feeding therapist. I love helping children with autism and other disabilities participate more fully in their lives. But even more, I love helping parents learn some practical, realistic things to try out during their daily routines. Read our blog to find Up-to-date strategies from an occupational therapist and autism specialist to help kids with autism thrive in every day life. About Blog Irabina Autism Services is a not for profit organisation and has operated for over 50 years. As well as providing programs and services for children and adolescents living with Autism and their families, we also cater for behavioural issues and offer educational workshops and community consulting. Facebook fans 8,488. Twitter followers 166. Facebook fans 164. Twitter followers 609. Scotland, United Kingdom About Blog Sharing my experiences trying to be a Lighthouse for my little Rainbow. My amazing daughter was diagnosed with Autism in March 2017. Join us on our journey. Facebook fans 91. Twitter followers 112. About Blog A slice of family life living with Autism. Facebook fans 10,398. Twitter followers 1,018. About - Ambitious about Autism is the national charity for children and young people with autism. We provide services, raise awareness and understanding, and campaign for change. Through TreeHouse School, The Rise School and Ambitious College we offer specialist education and support. About - Come and read about life with two gorgeous (I'm biased) girls, one of whom has autism... a specific type called Pathological Demand Avoidance. I explain more about what that means over on the blog..
About - Hi, and thanks for stopping by my blog, Teaching Autism! My name is Nikki and - as you probably guessed - I work with students with Autism! I love being able to go into class every day with some new surprise or challenge ahead of me. About - Autism Together has grown from providing support to people with autism, to providing a wide range of living options, day services and community support to people from all over the UK. 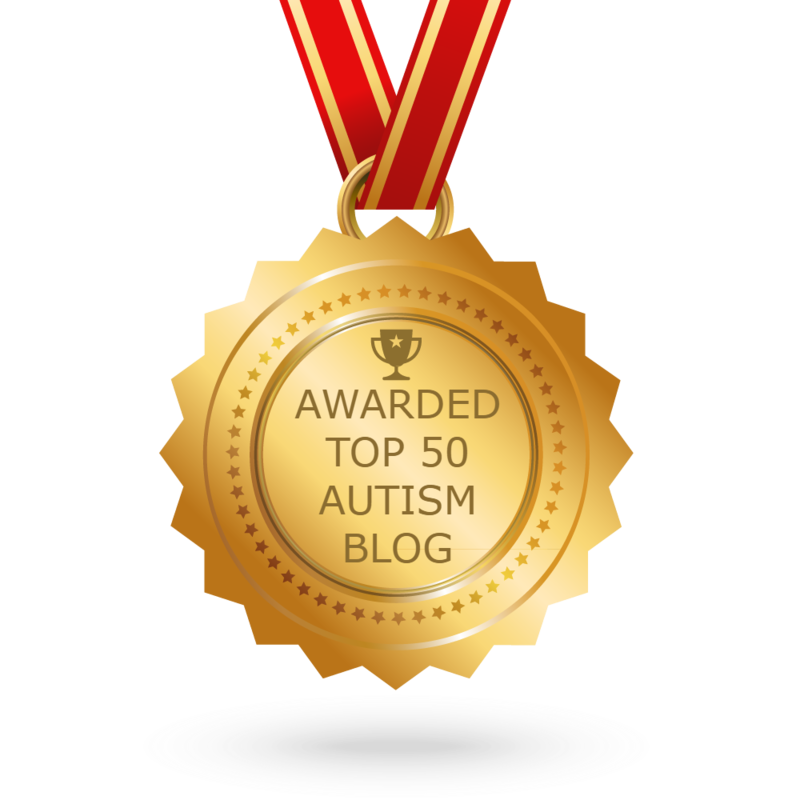 CONGRATULATIONS to every blogger that has made this Top Autism blogs list! This is the most comprehensive list of best Autism blogs on the internet and I’m honoured to have you as part of this! I personally give you a high-five and want to thank you for your contribution to this world.